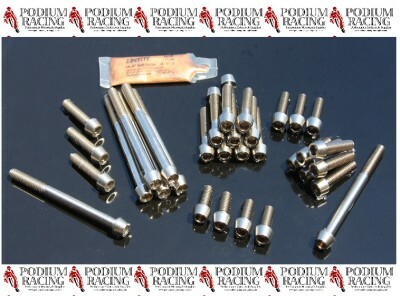 You’re looking at a new 43 piece set of TITANIUM bolts in SILVER/NATURAL that will replace ALL of the standard steel bolts on the external engine covers, including clutch, valve inspection covers, flywheel, etc. This kit will fit the Ducati DIAVEL all models. This kit is also avilable in black. 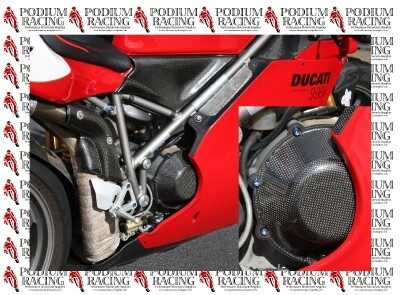 The standard nickel plated steel bolts quickly corrode and detract from the fabulous look of the Ducati superbikes. Replace all of these nasty looking bolts with corrosion resistant titanium and save weight in the proccess!